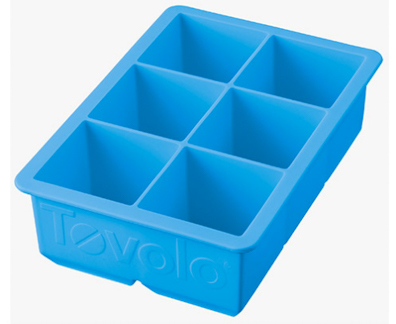 Made of food-grade silicone, the Tovolo King Cube Silicone Ice Tray pops out fantastic, square ice cubes. The large size of each cube is specifically made so that the ice melts slower. You can freeze berries or herbs into the cubes for added flavor. Great also for freezing pesto or curries.